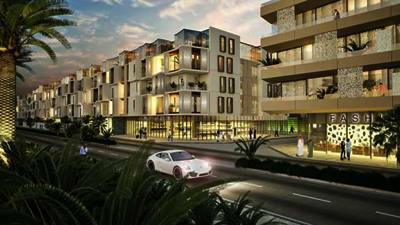 Millennium & Copthorne Hotels and Resorts is set to open a mixed-use property, Millennium Place, by the first half of 2018 in the AED3 billion Mirdif Hills project in Dubai. Millennium’s property will feature 116 hotel rooms and 128 serviced apartments, as well a gym, swimming pool and meeting spaces. The group currently has 32 hotels in operation, 14 set to open in 2018 and 40 in the pipeline. Speaking to Arabian Business, the Middle East and Africa chief operating officer Kevork Deldelian said the group expects to provide 4,000 jobs through the region with its overall upcoming projects. It currently has 5,600 individuals working on its 32 operational properties. “We’re going into more sizable operations and bigger hotels, so we’re almost doubling the manpower and increasing it quite a lot on the recruitment,” he said. The group’s upcoming projects in the UAE include Studio M hotel in Al Barsha and Grand Millennium Bay Views in Business Bay, both to open by end of 2018. But Deldelian said Millennium’s most important market right now is Saudi Arabia. “We are also opening in Saudi, where we see serious growth for the company. We have the Grand Millennium Airport Hotel, Millennium Al Naseem and Copthorne Al Naseem, all to open in the first quarter 2018. We have had several success stories in 2017 as well when we took over some unique properties in unique locations. "The most prominent one is the takeover of the Makkah Hilton, the hotel and towers have been rebranded to Millennium Makkah hotels as of September 1, 2017. This gave us three properties in Makkah, with two more coming up next year with Al Naseem. So Saudi, strategically, is where we are growing,” he said.